The Priory Hotel – Location, Location, Location! Looking for a few days away from it all to relax and unwind in a beautiful, rural idyll? Look no further than The Priory, and you’ll hear yourself saying, “Location. Location. Location”. 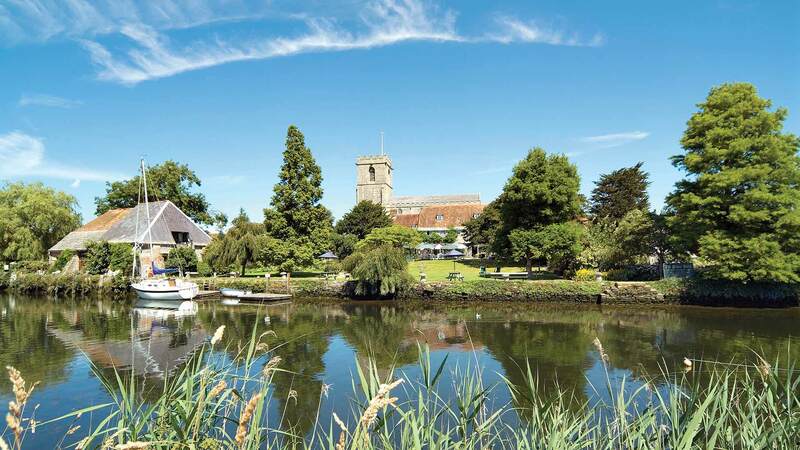 Set in four acres of lovingly cultivated gardens on the meandering River Frome, it is a timeless place, where everything quintessentially English is to be enjoyed, and where peace and tranquility prevail. Perfectly placed for both ‘coast and country’ on the doorstep of stunning Studland Bay and Lulworth Cove, the countryside of Thomas Hardy and Enid Blyton, and the shores of Sandbanks and Poole Harbour. The Priory itself is a charming, 16th century, English country house with open countryside views; particularly glorious during the summer months when lunching al fresco, enjoying afternoon tea, and sipping a Pimms or pre-dinner aperitif as the sun sets. It’s certainly the perfect place to getaway from it all, with 18 en suite bedrooms in The Main House, four character suites in The Boathouse at the river’s edge, and excellent standards of food and service.